The third iteration incorporated feedback from user testing to refine the design. The most important changes include the addition of images from the Sanctuary’s events and an expanded home page. 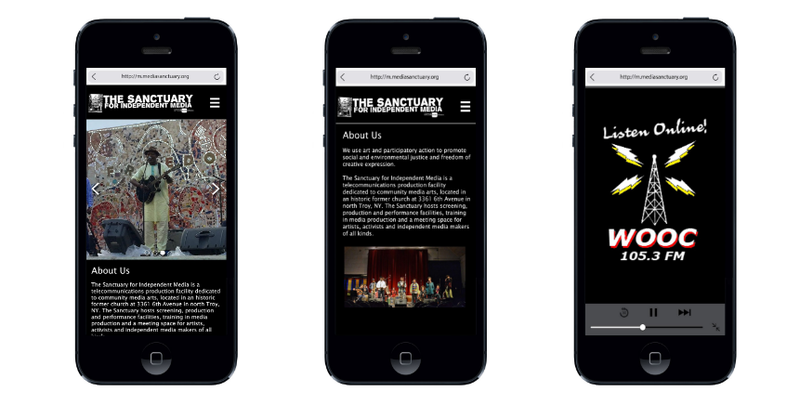 In addition to the carousel of images and general information about the Sanctuary, buttons were added to provide quick access to Upcoming Events and Special Projects. The goal for this change was to engage the site visitor and encourage them to get involved.